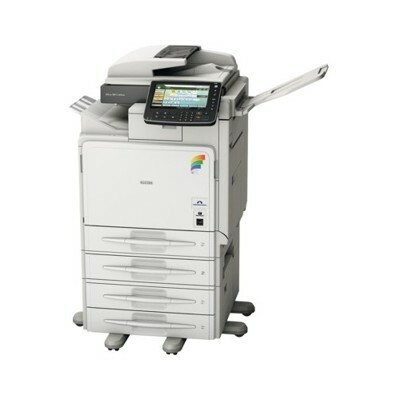 Ricoh has boradened its A4 color range with two new color multi-function devices - the MPC300 and the MPC400. With output at 30 and 40 ppm respectively, in both color and black, they have a capacity of 2300 sheets. Interestingly, they can use paper weights of up to 253 gsm in the bypass and 163 gsm for automatic duplex. The scan speed for these A4 MFPs is 30 ipm in color and monochrome, and they can scan to today's required destination: the USB port which is fitted as standard on these machines. Already available in the UK and in Germany, these machines will soon be available elsewhere in Europe.